Tag Archive for "cut-off" | CertiFYD Production Group | Music Producers that have worked with Eminem, Neyo, Lil Wayne, Rick Ross, Keyshia Cole, Remy Ma, Meek Mill, etc. Music Producers that have worked with Eminem, Neyo, Lil Wayne, Rick Ross, Keyshia Cole, Remy Ma, Meek Mill, etc. 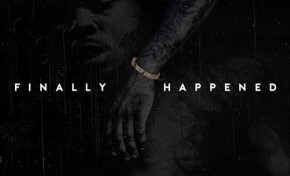 Philadelphia rising rap star, “Kur” (pronounced core) releases an impressive new project called “Finally Happened.” The project features Lil Uzi Vert, Coop and Johnnii. Production comes from Maaly Raw, Digital Crates, and CertiFYDmusic.